The history of The Olayan Group is intertwined with the life and accomplishments of its founder, Suliman Saleh Olayan. Over a 55-year career as an independent businessman, he served with distinction as entrepreneur, investor, business leader, and philanthropist. Suliman Olayan was born in 1918 into a merchant family in Unayzah, an oasis town located in north-central Saudi Arabia. 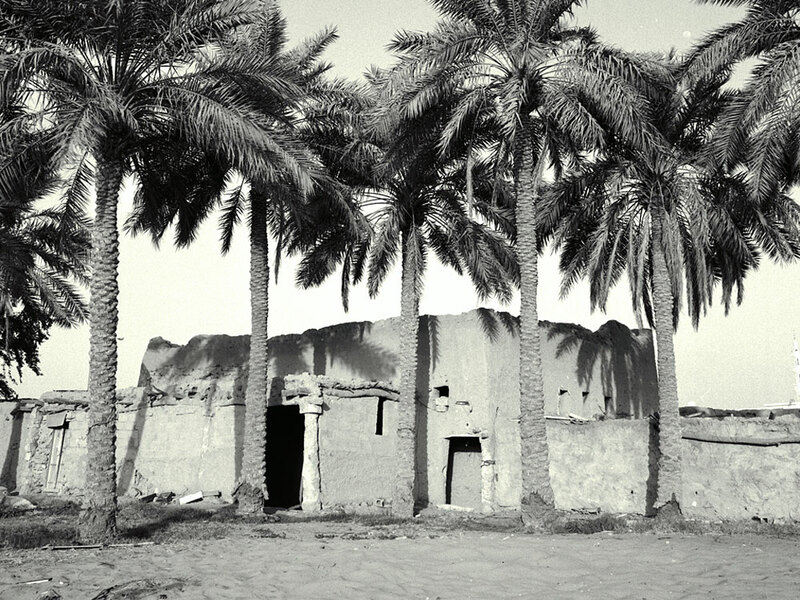 For centuries, Unayzah had been a haven for caravans venturing across the Najd, Saudi Arabia's heartland. The merchant families of Unayzah played a vital role in opening central Arabia to trade with the outside world. Orphaned as a very young child, Suliman was raised by his grandmother. When he was about 10 years old, Suliman left Unayzah for Bahrain where there were more opportunities and better economic prospects even before the age of oil. Suliman traveled with his older brother Hamad by camel to the Arabian Gulf coast and then by boat to Bahrain. Photo: An old building in Unayzah. 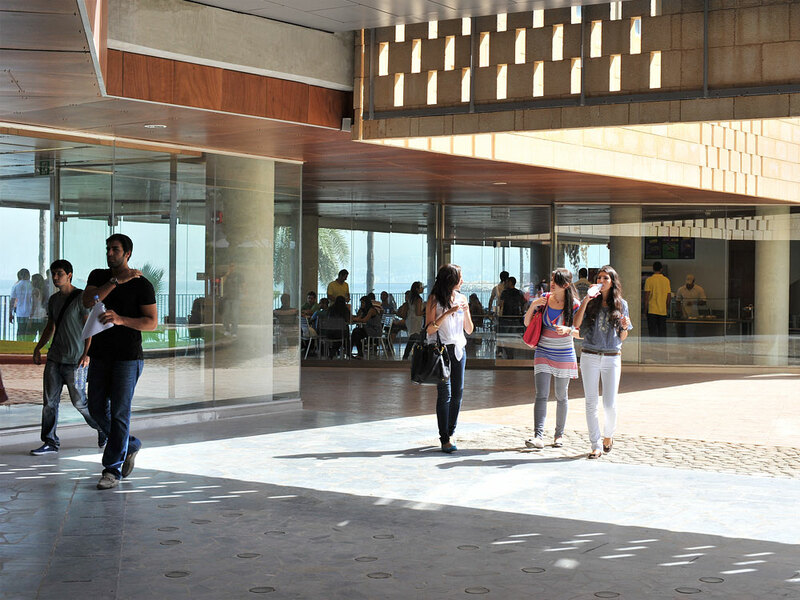 In Bahrain, Suliman attended local schools where he quickly mastered English. He proved to be an exceptional student overall with a prodigious memory, great curiosity and an ability to see possibility in the midst of challenge. 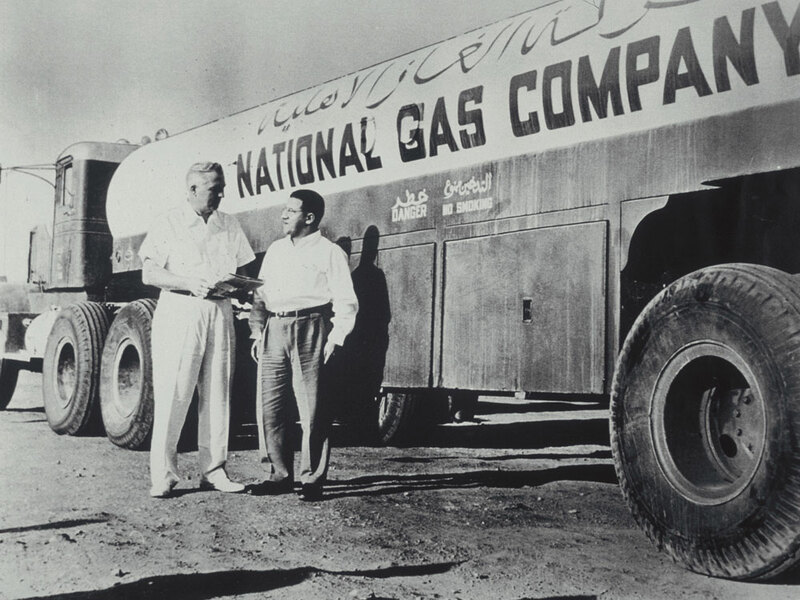 In 1937, by then a young man, Suliman returned to Saudi Arabia to take a job with the California Arabian Standard Oil Company, forerunner of the Arabian American Oil Company, today known as Saudi Aramco. By 1947, Suliman had risen from transportation dispatcher to storehouse supervisor to a position in government relations. He later often said that Aramco was his ‘university,’ exposing him to best business practices at a time when Saudi Arabia’s oil industry was essentially an exciting startup. 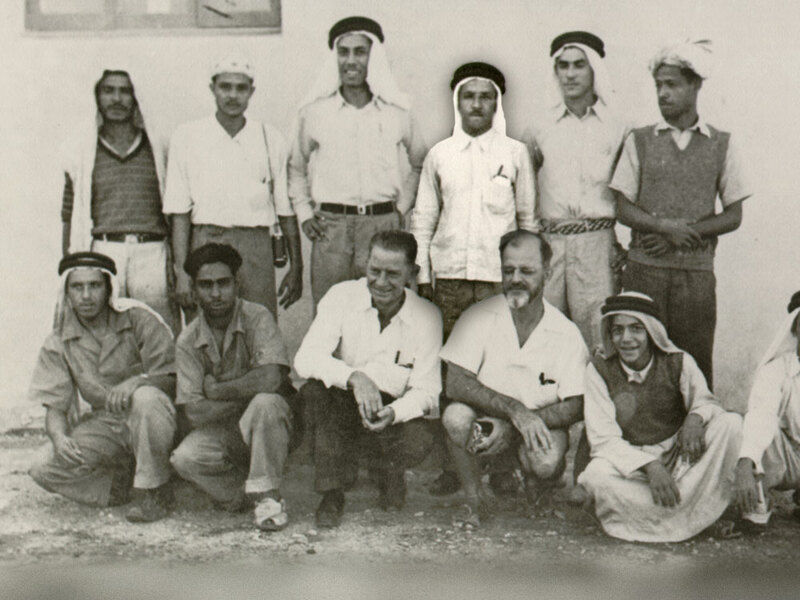 Photo: Suliman (back row, third from the right) stands with members of the Aramco storehouse in the 1940’s. Suliman joined Aramco in Dhahran just one year prior to the monumental discovery of oil there in commercial quantities. He was in the right place at the right time. He continued working for the company during World War II, when oil became a global strategic asset. 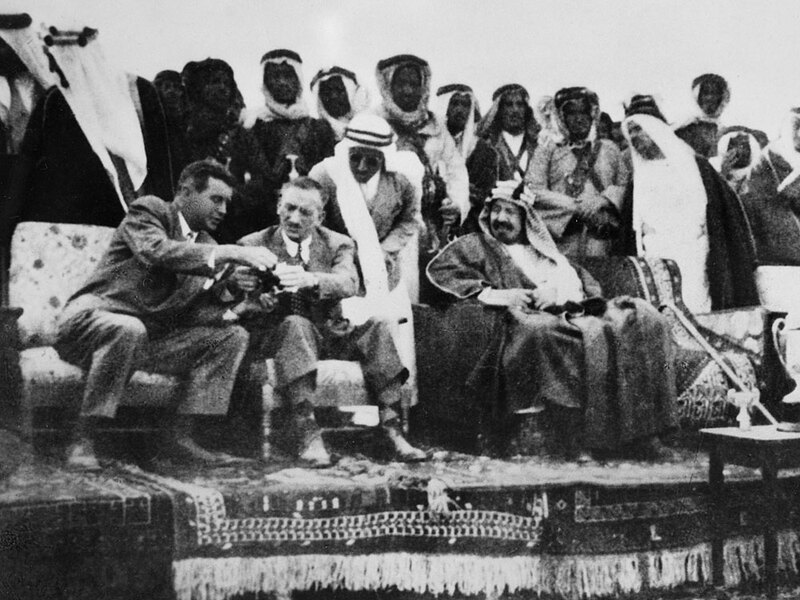 Then, in April 1947, King Abdul Aziz Al Saud made a historic visit to Aramco headquarters in Dhahran. Suliman, by then a company liaison and translator, was in the center of it all. Photo: Suliman (front row, third from left) stands between King Abdul Aziz and James MacPherson, Aramco’s Resident Administrative Officer. In the wake of World War II, the oil industry was expanding rapidly. Sensing a once-in-a-lifetime opportunity, Suliman set out on his own in the summer of 1947. With a personal loan secured on his home, he established General Contracting Company (GCC). GCC's first customer was Bechtel, which was under contract to Aramco to manage the construction of the Trans-Arabian Pipe Line (Tapline), a mammoth project linking the oil wells in Saudi Arabia's Eastern Province to a terminal in Lebanon on the Mediterranean Sea. GCC handled essential trucking and supply services for the historic project. GCC’s reliability established Suliman's reputation as a dependable contractor who delivered high-quality work. 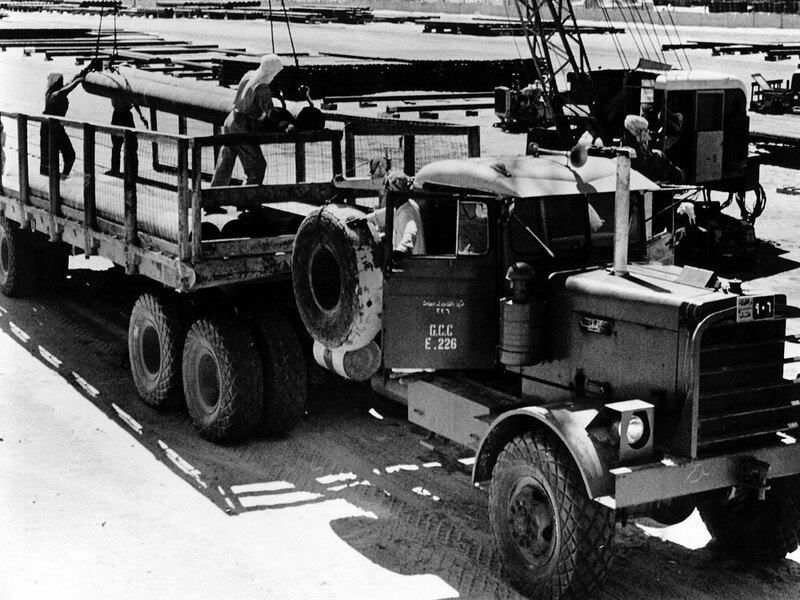 Photo: GCC operates Kenworth diesel trucks for hauling material and supplies to outlying areas, October 1955. 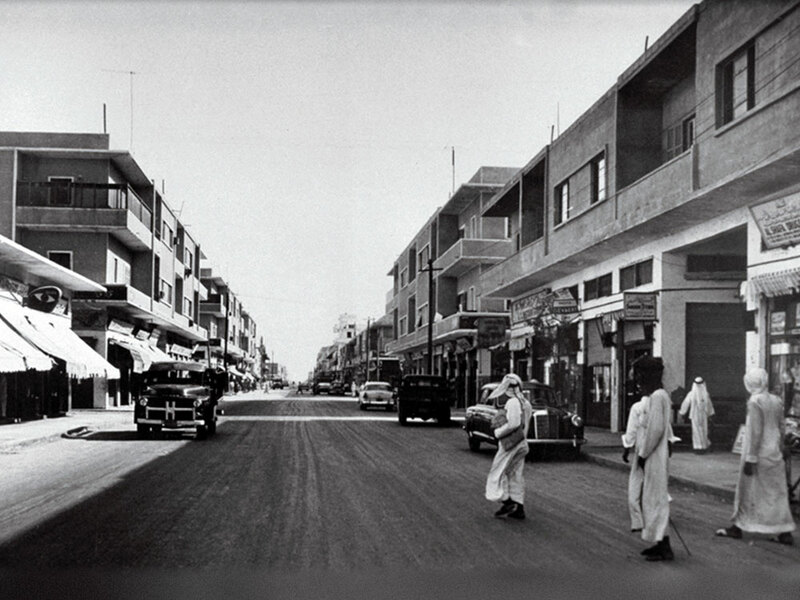 In the 1950s, buoyed by GCC's success and with his entrepreneurial drive now in high gear, Suliman undertook a series of trailblazing projects. He played a key role in developing Saudi Arabia's earliest electrical power companies ultimately founding the country’s first public utility, the National Gas Company. In 1954, he launched General Trading Company (GTC), a food and consumer products distribution business. That same year Suliman became instrumental in introducing commercial insurance to Saudi Arabia, founding Arab Commercial Enterprises (ACE), which went on to become the largest insurance and reinsurance broker in the Middle East. Photo: Suliman (right) with Bill McMullen, Manager of Aramco’s Products Distribution Department. Meanwhile, Suliman was also developing key business alliances, pioneering in Saudi Arabia the concept of strategic partnerships. Through GTC and GCC he acquired exclusive distributorships for Kimberly-Clark, General Foods, Pillsbury, Hunt Wesson, Cummins Engine, Kenworth and Atlas Copco. In 1969, The Olayan Group obtained a license from Kimberly-Clark to construct the first paper tissue converting plant in Saudi Arabia. That same year, GTC established one of the first cold storage and meat processing plants in the Kingdom. The Group also played a leading role with Saudi and foreign investors to establish a large factory for manufacturing plastic pipe and fittings. By the late 1980s, The Olayan Group focused on light manufacturing and franchising in the Middle East. 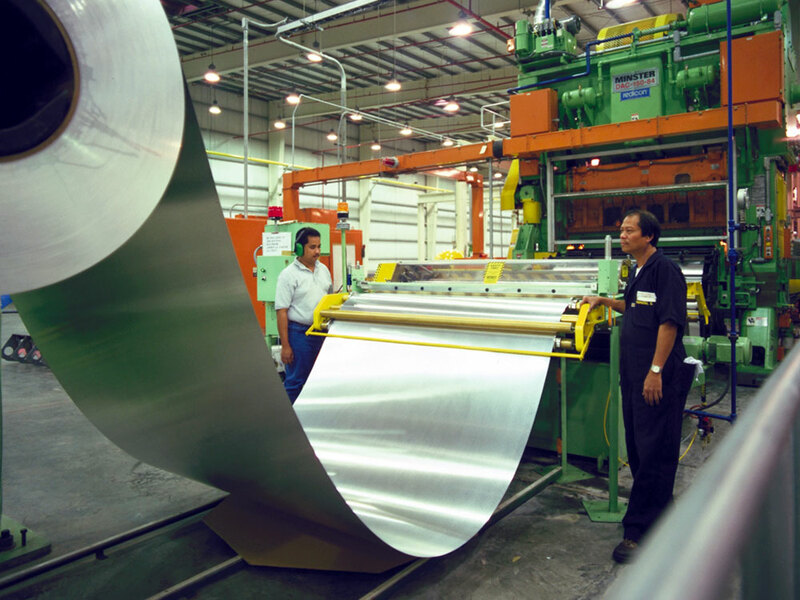 Photo: An Olayan JV manufactures aluminum cans in the Eastern Province. Suliman began investing internationally in the early 1960s with a small portfolio of US-listed companies. He bought minority stakes in corporations such as First Chicago, Occidental Petroleum, Transamerica, CS First Boston and Chase Manhattan among others, including European names such as National Grid of the UK. Under Suliman’s leadership, The Olayan Group expanded into private equities, real estate, and other alternative asset classes including direct investments and investments with leading regional and international partners. Suliman also expanded the Group’s geographic presence. In 1959, he opened a commercial and financial office in Beirut to support his growing commercial businesses in Saudi Arabia. In the 1970s he opened offices in New York, London, and Athens to support the Group’s international financial and investment activities. 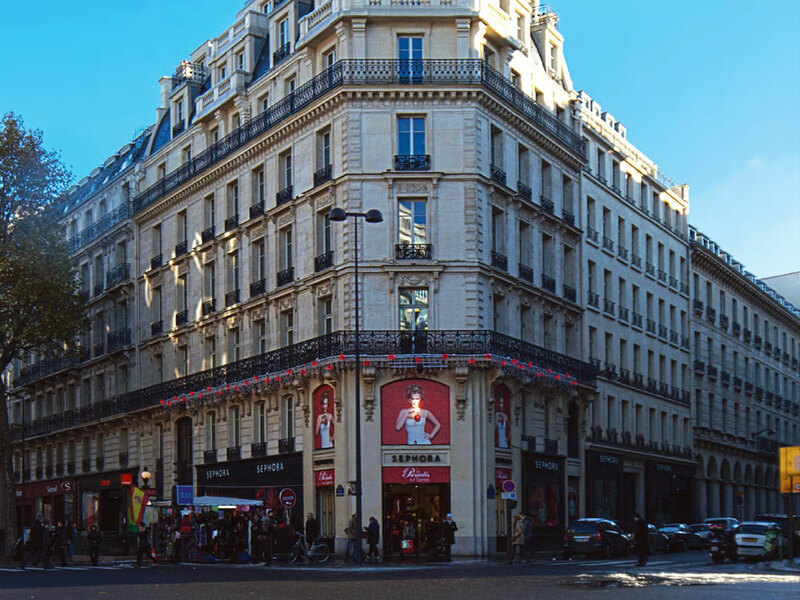 Photo: Prestigious property in central Paris, 8th Arrondissement, acquired in 2014. Suliman played leadership roles on boards and councils of established corporations and institutions. 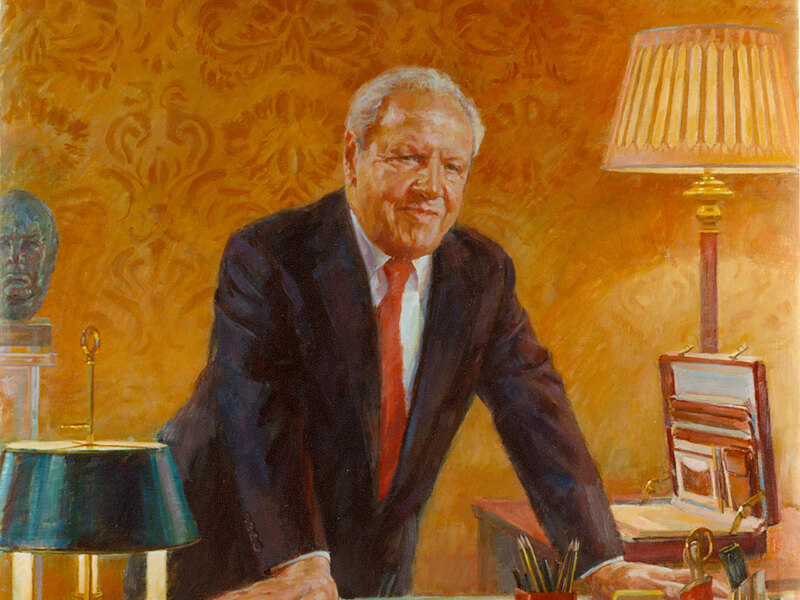 Within Saudi Arabia, he was the founding chairman of both The Saudi British Bank and Saudi Spanish Bank. He served on the boards of Saudi Aramco, Saudi Arabian Airlines, and Riyadh Bank. Suliman chaired the Riyadh Chamber of Commerce and Industry and later, the Council of Saudi Chambers. From 1980 to 1992, he co-chaired the high-level US-Saudi Arabian Businessmen’s Dialogue. Internationally, Suliman served on the boards of CS First Boston, the Peterson Institute for International Economics in Washington, and the American University of Beirut, which named its business school for him in 2003. He was named Knight Commander of the Civil Division of the Most Excellent Order of the British Empire (KBE) by Queen Elizabeth II. He received the Great Cross of the Order of Merit from King Juan Carlos of Spain. And he was named Commander First Class of the Royal Order of the Polar Star by King Carl XVI Gustaf of Sweden. 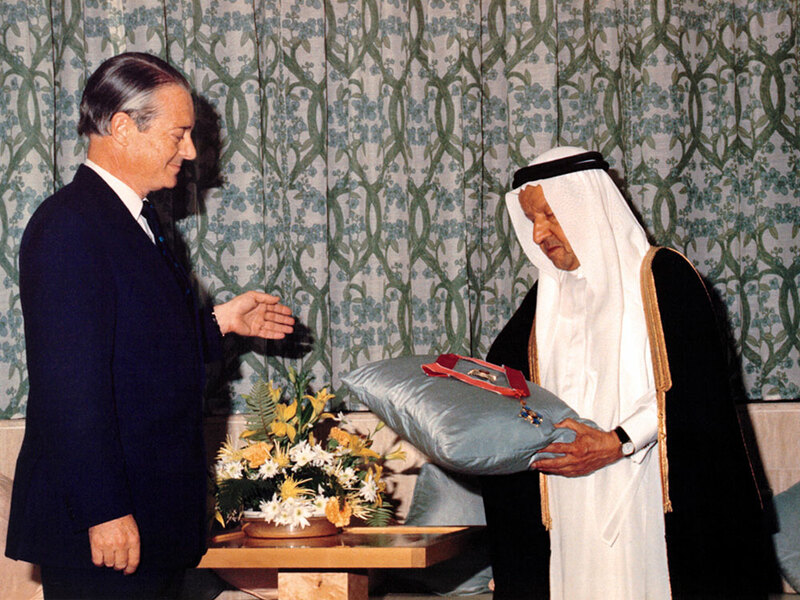 Photo: British Ambassador to Saudi Arabia Stephen Egerton presents Suliman with his KBE Insignia, 1987. Suliman believed that giving to those in need is not just an obligation, but a personal privilege. The Suliman S. Olayan Foundation, the philanthropic arm of The Olayan Group, was founded in 1982 to positively impact communities in Saudi Arabia, the Middle East, and beyond. Suliman Olayan passed away in July 2002 at the age of 83, but his legacy endures. The Olayan Group remains guided by the vision of this self-made business prodigy. He journeyed from Unayzah to Wall Street during an era in which caravans gave way to global commerce. Along the way, his values – hard work, determination, insatiable curiosity, and professionalism – became embedded in the enterprise that thrives today.